In the middle of trying to put a different post together I walked down by the creek out of curiosity to see the level, and I am pleased to see that it has gone down some, but is still a couple feet higher than it should be. 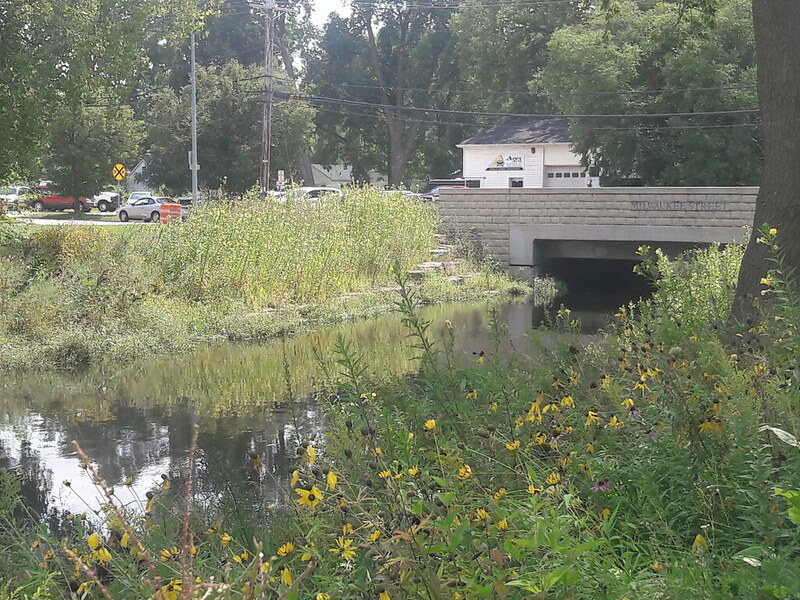 You can see some space beneath the bridge, probably not enough for kayaks or canoes to make it down the creek, but it is certainly improvement. Either way, all the ducks are swimming in the water - and still don't seem to mind. There's a nifty animation of the lake levels of the last seven days under those blue words. You can see it's still nowhere near what it should be. A closer up picture after the break, and a butterfly sign that I don't remember seeing before, oddly. The lakes had been high all summer so far, see my pic from earlier this year here, then on August 20 western Dane County received the worst of a rainstorm and got 10-15 inches. Surrounding areas, including us, also got many inches of rain but the double digits got the headlines. Much of that water flowed to the Wisconsin River and much of it flowed to the Yahara chain of lakes, starting with Lake Mendota. The Tenney Lock and Dam have been tested, but have held admirably. Lake Mendota drains through that lock and dam (1), into the Yahara River crossing the isthmus to Lake Monona. If the dam fails, this influx of water is what will flood many low parts of the isthmus and Lake Monona. Lake Monona has gotten higher than it's ever been. It drains through another branch of the Yahara, one that has had to be weeded in the past because they slow the flow, directly into Lake Waubesa, which then has another lock and dam (2) before draining into Lake Kegonsa which also has a lock and dam (3) that then drains via a lengthy part of the Yahara River and a couple more dams (4,5) until ultimately flowing into the Rock River. That's the basics, and this is a map to help you visualize it easier if you're not from here. You can see how it will take time to let all that water flow. If we were to get any substantial amount of rainfall in a short amount of time, any similar deluge as before, anytime before winter we will be having perhaps much bigger problems. I should note that it has not rained since the last rain spell I posted of last week, and no real chance is forecast until later next week. I've been paying attention to the forecast a bit more these days. 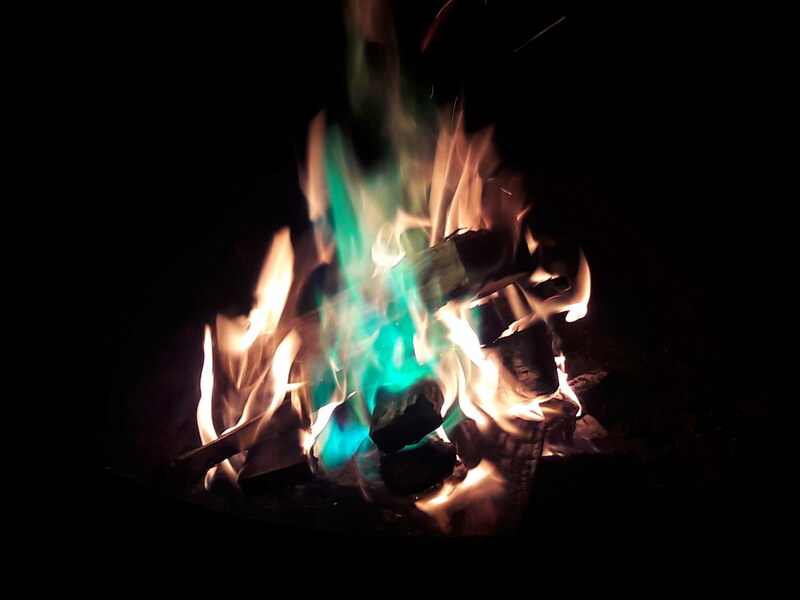 Random green fire pit picture. I got out for a bike ride today, just down to the lake and back, less than an hour overall but my joints are feeling it now (and the reason I didn't go yesterday). I got some good pictures to share, the first few are from a bike ride the other day and the rest are from this morning - except for one picture I stole a screenshot of from goggle maps. 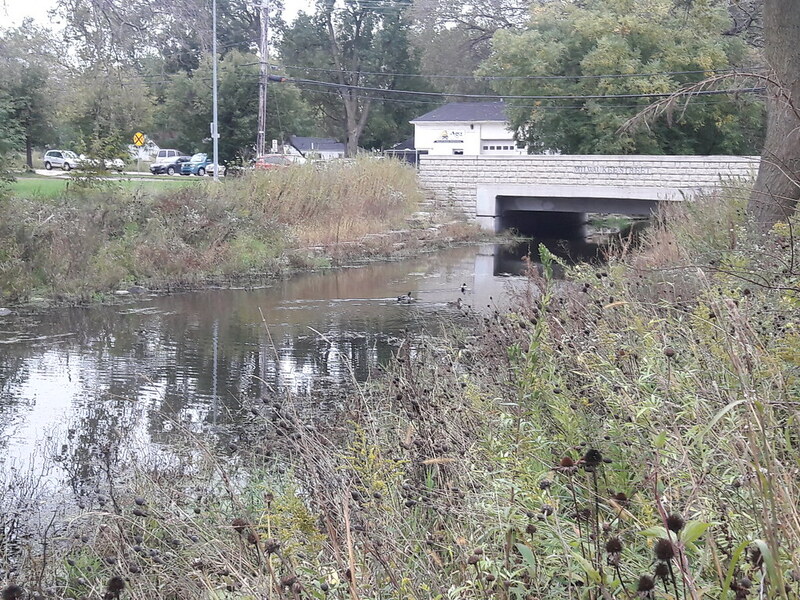 It shows the rocks that should normally be visible on the sides of this stretch of Starkweather Creek. Since they lakes have been kept overly full the last couple years a cursory search didn't find a similar picture in my albums of the last couple years. But I have posted pictures of this and these other places in the past so you can seek them out for before and after shots if you wish. Pictures and comments after the break! *Originally titled with IV instead of VI - sorry! I had yet another birthday recently, they seem to come faster and faster. My wife made snacks and we had some people over last Saturday evening to celebrate. Thanks to all who came over! I took the week off for my birthday again this year but, once again, I had no big projects planned but a reasonable list of chores I wanted to get done. And sleep, sleep is very good. As I type the chore list is mostly complete but we'll just have to see how the rest goes. Otherwise, I've been out on the bike a couple times and got some more pictures of the swollen creek. I've not made it all the way to a lake yet, but I do plan on biking to probably Olbrich Park later today or tomorrow. I know I have pictures of the shoreline from winter to compare to, well, we'll just see what I find. Lake Monona has been up to 3 feet over it's predetermined maximum, as reflected in the creek. I'll put another Flood post together in a day or two. In other happenings, the Packers and Badgers have started playing so there goes much of my time on weekends for the next few months. My mom broke her foot - sorry ma, I'm not traveling during my vacation but I'm sure Dan is taking very good care of you. I hope you get well soon. And I'm still enjoying the fire pit almost every chance I get. Even just sitting by the fire for an hour or two in the evening is so simple yet lowers the stress of every day life - but you'd better have mosquito repellent! 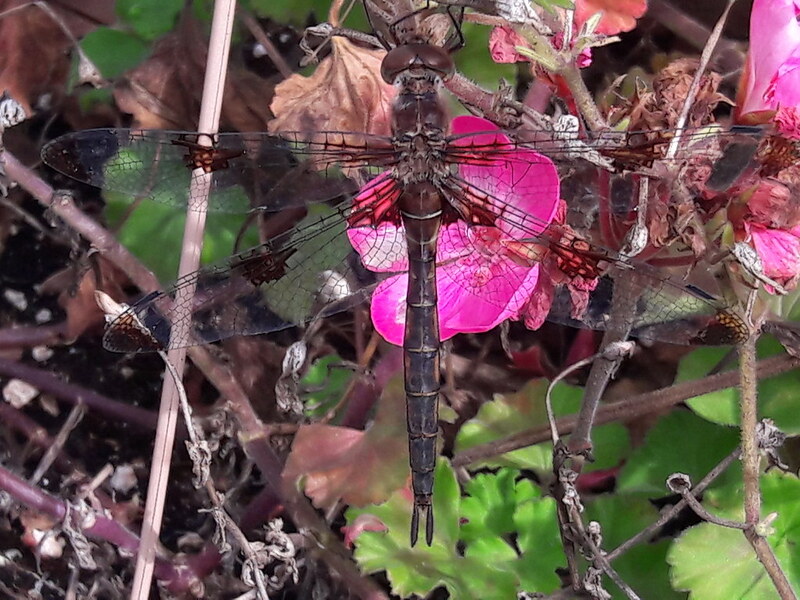 Just a dragonfly I spotted recently. Not a lot happening to speak of, otherwise. We do plan on having people over for a fire pit on Saturday night and I have time off coming up. Maybe I'll find something else to write about then! It's been two weeks since the heavy rains of August 20 washed in to flood streets, homes and businesses, and there is no end in sight. Lake levels were already about a foot higher than their predetermined maximum, now releasing the water down through the lakes and the flooding it will cause is making this a political issue once again. Meanwhile, we have streets that have been underwater this whole time. Let's just hope we keep avoiding any heavy rainfalls for a while. Oh, it also rained another inch last night. 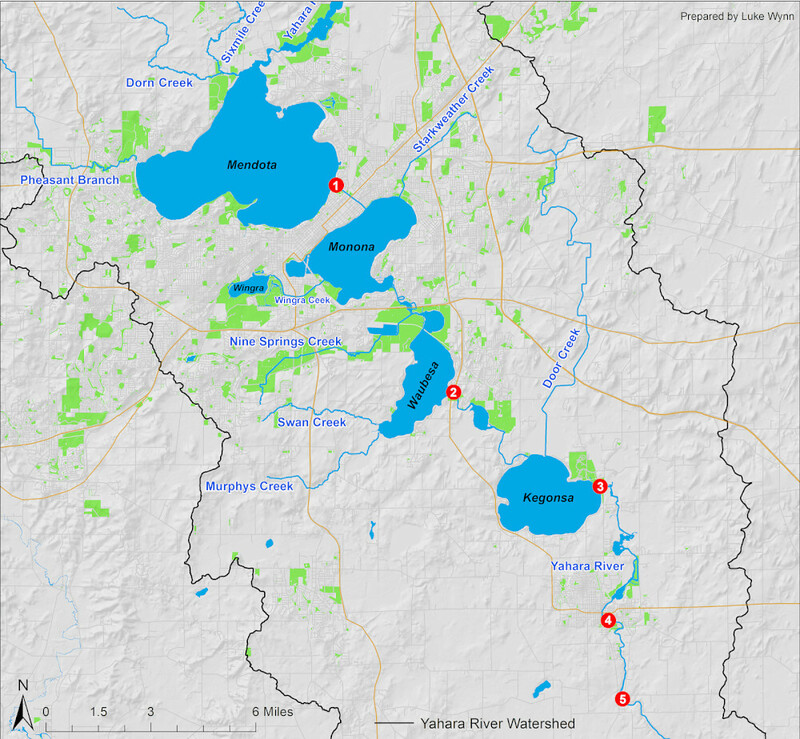 I found a very good website for information on the lakes, dams and water levels for our Yahara chain of lakes, link here. And I also found the short video below, posted two days ago, of the Tenney Park area. I'm sure it looks very similar still, especially after last night. I hope everyone is enjoying their holiday weekend. I've been taking it pretty easy so far, but I may get out for a bike ride today. 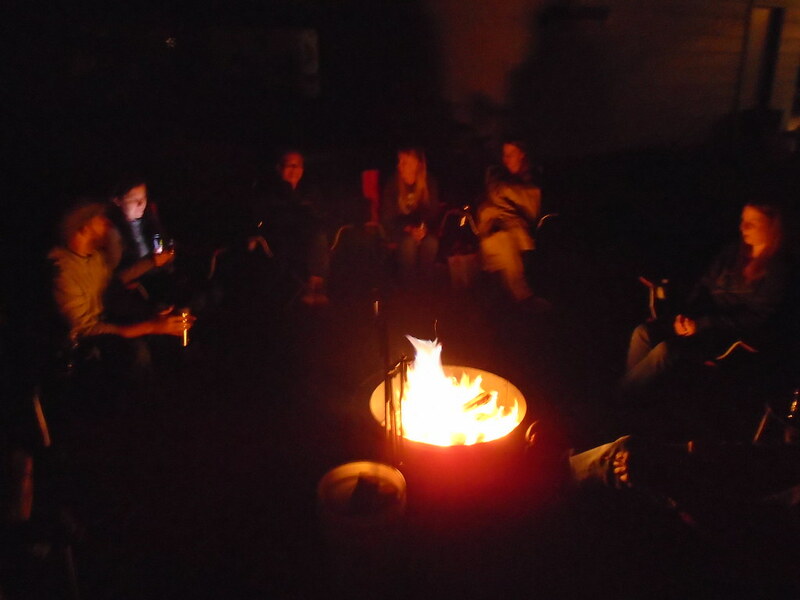 Last night we had a fire before the rains came and cooked pizza and fruit pudgie pies in the coals. They were good but I burnt the first one and they did make quite a mess!